As a radiologist at the BC Cancer Agency, Dr Charlotte Yong-Hing has been trying to get more women interested in pursuing a medical career in radiology. She has raised the issue of gender disparity in radiology and sought solutions with several organizations with little uptake. Then she took the SSC-funded UBC/Sauder Physician Leadership Program and found the tools and a path to address this issue with very practical and long-term goals. The program requires participants to work on a project that applies the leadership training. Her project identified the issues some women face, including systemic attitudes that still exist in some institutions around women and having children, as well as pay disparity. In the U.S, the Mayo Clinic is leading the charge with a ‘Times-up movement in health care’ that fights inequality in the workplace. Dr Yong-Hing thinks this is another warning bell that is letting the BC health care system know this type of scrutiny is not going away. To do her part, Dr Yong-Hing’s project not only identifies perceived barriers and off-kilter perceptions, but also some solutions. Solutions include: increase visibility of women in radiology, increase medical students’ exposure to radiology, and supporting women radiology mentors and leaders. To raise awareness and connect with other radiologists, or those interested in gender equality and diversity in medicine, a Twitter account was created called “Canadian Radiology Women” (@canadaradwomen). There is also a closed Facebook group for Canadian women radiologists and radiologists-in-training. Both tools are great to raise awareness, connect colleagues, offer mentorship and provide guidance. In addition, there have been a number of face-to-face meetings. The Canadian Association of Radiologists (CAR) have acknowledged lack of diversity in radiology is something they wish to address. However, Dr Yong-Hing believes a great deal can be accomplished by focusing on women who are already in radiology and supporting more women to become radiologists because it will just inherently increase diversity in general. Anyone interested in learning more or getting involved can email Dr Yong-Hing at: charlotteyonghing@gmail.com (link sends e-mail) or follow Canadian Radiology Women on Twitter and Facebook. 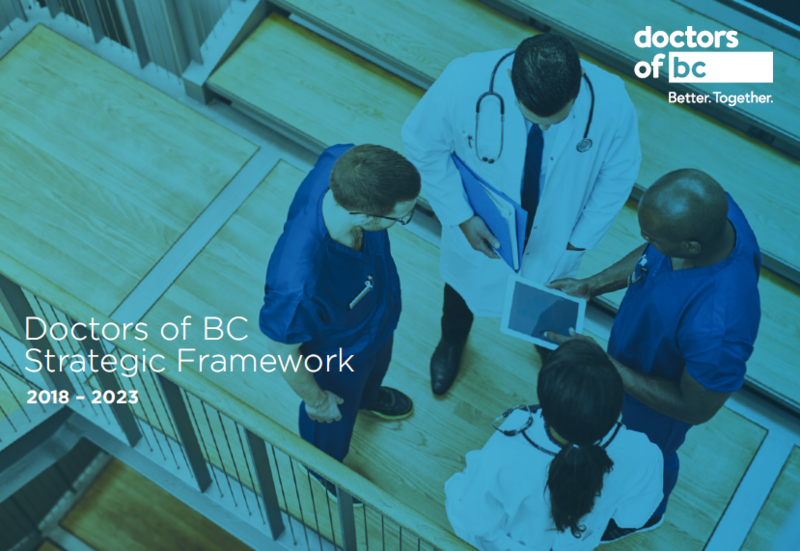 Doctors of BC is also looking at Inclusion and Diversity within our organization because ‘we all have a mark to make.’ For information about this initiative, click here.